Free demo download displays files pictures and videos that will be recovered. CnW Blog for news items. Professional product at a sensible price. Options from.$19.99 to $194.99 - Download fully functional demo first, then buy. Video camera, GoPro, EOS, DVD corruption or deletion. AVCHD / MTS and M2T can be automatically reconstructed into large files, and not short fragments. Free update support - unlimited updates. Within a short period of time after downloading the CnW program demo, it will be possible to see a log of files that will be recovered. For these it will be possible to click on the entry and either see a photo, or a hex dump of the file. CnW software never changes data on the corrupted drive, and only saves recovered files onto a different hard drive. What ever the logical failure, CnW will never make it worse. The recovery results are extremely good, often exceeding those from much more expensive packages. This a a question such as how long is a piece of string. It is very dependent on the capacity of the drive or memory chip. For a small camera memory chip, with all files deleted, recovery may be 5-10 minutes, For a 500GB drive that needs imaging first due to bad sectors, recovery can take between a few hours and a few days. For a physically working disk, via USB-2 interface, or disk image, recovery is in the region of 5 to 60GB/hour depending on file size and hardware. For partially failed disks, the speed can be much slower. USB-3 and ESATA drives may be faster. Recovery can be complex and daunting, so CnW software offers as much assistance as possible. There is an automatic wizard for many applications, as well as advanced mode tools. On every screen, by pressing F1 and comprehensive help screen will be shown. On many menus, by moving the cursor over a button, a short description (tool tip) will be displayed. On option boxes, if a sector number is double clicked, the sector will be displayed. All these features make the powerful tools easy to understand and use. New features on CnW V3 assist with common types of disk recovery. Our expertise and knowledge is added to the data recovery software for everyone to benefit from. It is an unfortunate fact, but sometimes computer data is lost. 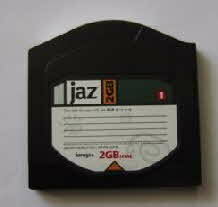 It may be a camera memory chip, a CD-ROM or hard disk drive. The camera or PC will no longer allow the user to access the data, even though the data is still present. CnW Recovery software will enable the user to do hard drive recovery, memory chip recovery, CD recovery etc and extract data from most corrupted PC storage devices. What may have seemed a disaster becomes just a hicup. Or in the words of the Hitch Hikers Guide, Dont Panic. Many users are not aware that even on a very corrupted disk, the data often still exists, but just can not be accessed, except by an advanced recovery program, such as CnW Recovery. CnW disk software has a wizard to assist in the recovery process and offering various options depending on the physical media, and type of corruption that has occurred. In many situations, the wizard recovery mode will be all that is required, but there is also a complete suite of recovery tools for more complex recovery and investigation conditions. A full demo can be downloaded and installed for evaluation and will display all files that are on the media, but the demo will not actually copy any recoverable files to the hard drive. Digital photos are displayed as a picture, other files are displayed as a hexadecimal dump. Once happy that the product will work as required, you may purchase on line. To get an idea of how the program works, please look at User Manual. In many respects CnW Recovery, data software is a toolbox to enable lost, deleted and corrupted data and images to be recovered and restored. What will it do? for more details. There are simple tools to do a recovery, and other tools to allow any restoration to be customized to try and overcome different failure modes. Comprehensive logs will aid any forensic investigator recovering data from a damaged disk, and these include MD5 hashing of all files, as well as a log of sector values for the start of each file restored. Slack and unallocated data may also be extracted and saved. Even some fragmented files may be reconstructed from data carving scan. This Windows Vista, Windows 7 and Windows 8 data recovery software product is used daily as part of CnW data services. 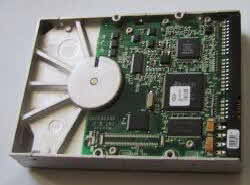 It can be purchased online and can be used to recover camera memory chips, CD-ROMs, ISO9660, and UDF, and also FAT16, FAT32 hard disk drives. There is full support for NTFS, included compression, and HFS+ (Mac) drives, XFS and Reiser FS. Disks and CDs fail in many ways. Some are predictable, but many fail for obscure reasons. Due to this, there is no single approach to data recovery that works for all types of failure. CnW data recovery software therefore has many different tools built into the program to assist in different methods of examining the media and extracting files in the most useful way. Sometimes it may be necessary to use several different approaches to obtain as many files as possible. For common failures, the software tries to assist as much as possible. With many formats it will do an initial analysis of the disk to recommend the best way forward. At other times, the user can enter, or manually change critical parameters and work, sometimes by trial and error, to restore a large percentage of the original files. Built in analysis routines assist at every stage. It is probably impossible to generate a program to automatically recover all types of data corruption and failure, but CnW Recovery gives many different options that can be tried. The wizard will follow many standard approaches, and the manual has case studies of different methods that can be taken for different types of failure - and this list grows on a regular basis, as do built in tools and documentation to assist. CnW forensic software has been designed with forensic investigation and forensic data recovery as an important application. There are many logs to aid investigation and help analyze data that has been recovered from the file system, or unallocated areas of the disk. The logs can be sorted, exported and generally reviewed. The logs also contain lists of errors encountered on the disk, including logical problems that could stop a disk being read by the native operating system. For case examination, an XML based report can be generated to form the basis forensic report report, and will assist in continuity of evidence. All reports are being enhanced and developed on a continuous basis. Another forensic tool is the ability to do multiple, simultaneous string searches on a disk image, or within recovered files. Encase compatible E01 files can be read (with forensic option). Video recovery that works - unlike many other popular programs. 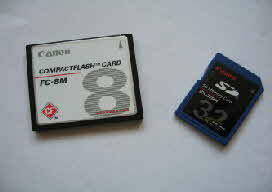 Most video camera record data on a memory chip, but this video is not recorded in sequence. When a video is deleted (probably by mistake) the location of the video sections is typically lost. CnW Recovery software performs complex recovery routines to recover videos that very few software programs can. A very popular camera is the GoPro Hero range. Online purchase with PayPal. Once purchased the data recovery software license code will be e-mailed within minutes of payment being received. Free updates included with every purchase (30 day license excepted). Browse this web site for more information about CnW Recovery. If you have any queries or would like to ask CnW Recovery any questions, please e-mail us at info@cnwrecovery.com. To see some customer feedback click here. At CnW Recovery, the customer’s data always comes first.